There is a battle going on inside of us for control of the body’s posture. Our instincts urge us to posture our bodies for maximum efficiency and health. Our emotions try to express themselves through the body’s posture. So if we try to push in the push hands exercise, our emotions tell us to expand the upper body and rise up so as to express power as we would imagine a muscle bound weight lifter to have power. Yet that is not an efficient posture for pushing because we would be top heavy and tense. When I correct a posture in a Tai-chi form I have to take into account all the emotional expressions that control the body. Each part of the body is in an emotional relationship with all the other parts and as a whole, the body expresses very complex emotions. If I were to correct only one part of the body the student would feel very awkward because he is used to a particular configuration of expression and now, one element of that expression is in the “wrong” position. So at the beginning the student doesn’t appreciate the corrections because he is still judging his posture by how well it expresses his emotions. I have to correct as much of the emotional control of the body as possible to give the student an appreciation of how beautifully the body is designed and how good it feels to be in the natural, “neutral” postural position. I taught a group of physical therapy students a few days ago. This workshop that I give every year gives the students a different perspective of how to bring a patient’s body back to a healthy state. While a physical therapist only works on the physical level, they have to deal with all the emotions of their patients as well. Sometimes that is the greatest challenge. My ending point in that workshop is that in order to be effective in dealing with the patients, the therapist has to be comfortable in his or her own body. If your mind, body and emotions are not connected, balanced and centered, then your patients will certainly not feel comfortable with you and you will not be able to connect with them. Learning something like Tai-chi or Zookinesis can be a very valuable aid in working with physical therapy patients. We also discuss how the way be breathe, walk and do other everyday activities can either help our physical condition or deteriorate our bodies. By understanding Tai-chi principles, you can make suggestions to improve these everyday activities to strengthen the patient in general. In this way you will not only be helping the particular condition they came in with but help to prevent other problems in the future. Unfortunately, most physical therapy practices only give ten or fifteen minutes to each patient, certainly not really as much time as they need. But due to economic considerations, many practices just try to get as many people through the door each day as possible. A good physical therapist would suggest that a patient get involved in a more thorough practice of exercise once their physical therapy sessions are over. This is why some schools of physical therapy expose their students to several exercise modalities so they can make intelligent suggestions to their patients once they are in their own practice. The physical therapist may not directly address all the dynamics of a patient’s condition because they are only licensed to correct a physical problem in a physical way. But in a Tai-chi class (or Yoga or Pilates or Zookinesis class), it is more informal. You can work on many levels at the same time and explain how a human being works on all these levels in an integrated way. 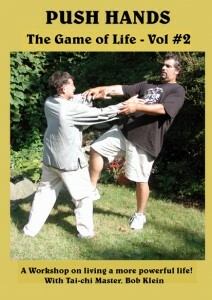 Tai-chi practice is not limited by law to only fixing a physical problem in a physical way. I believe that our modern day culture makes us a foreigner to our own bodies and disrupts the integration of body, mind and emotions. It makes sense that we fix the fundamental problem with our health and not just patch up the symptoms as they pop up as in the “whack a mole” game. Many people get involved in Tai-chi practice because of health problems. They know that Tai-chi can improve general health and put them back on a path of general health recovery. 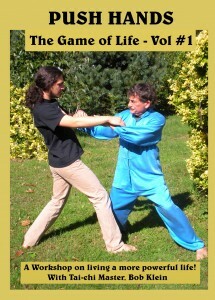 Zookinesis and Tai chi promote health. 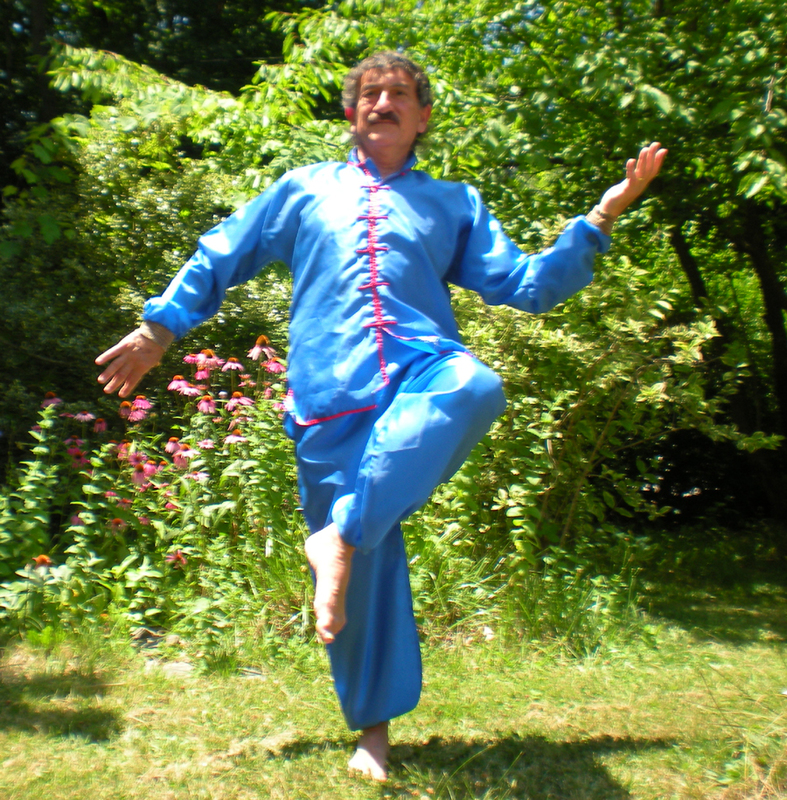 We hear that Tai chi exercise is much more healing than other types of exercise. It strengthens the internal organs, makes you more flexible, improves the flow of blood, lymph and intercellular fluid, improves the exchange of oxygen and carbon dioxide in the lungs, sharpens your attention and strengthens your immune system. How can a simple exercise do all that? We modern people pride ourselves in being somehow superior to animals. We think great thoughts. Our behavior is not controlled by instinct. We feel that our superiority is demonstrated by our technology. We have advanced drugs and surgery that save lives. Yet our general health and feeling of well-being may not be superior to people of older times. In fact our world is filled with emotional stress and chemicals, which stress the body biologically. Heart attacks and other heart disease strikes earlier and earlier in life and the rate of cancer has greatly increased. How does Tai-chi strengthen the body’s health and calm our emotions so we are resistant to stress? I have proposed in my writings and classes a simple theory that can make the logic behind Tai chi and Zookinesis more understandable. In our modern world our basic instincts are almost irrelevant. We don’t live in natural surroundings for the most part and our instincts have been molded by natural environments. So we now rely on our minds, which tell us how to work our devices and how to tell time so we won’t show up for work late. This requires a subduing of natural instinct which hasn’t had time to evolve to function in the world of computers, cars and cell phones. Yet our bodies still have to function biologically. The molecules and cells within our bodies aren’t controlled by computers. In fact, the entire body is a sort of biological computer, with its trillions of molecules all containing a kind of information as to how to function and adapt to varying situations within the body. If the thinking mind imposes its patterns on the body’s functioning, there is a conflict. The body has to function one way in order to be healthy but the mind is sending signals into the body to behave quite differently. With instinct the information in the biological computer moves upwards to control the organism and make it behave in order to achieve maximum health. With the thinking mind the control moves downwards to subdue the body and even its biochemical activity. 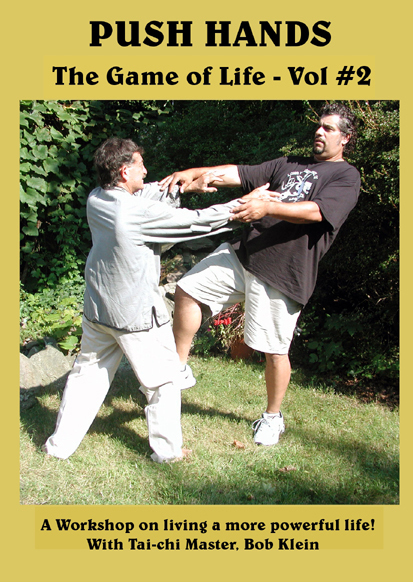 When we practice Tai chi, especially in the push hands exercise, we have to yield our attention to the body. We train each muscle and joint to respond with ease, precision and intention. At the beginning this requires the thinking mind (to learn our forms or the principles of push hands, for example). But then our minds have to let the body go and the movement of attention must be from the body’s individual body parts upward to the organism as a whole. The thinking mind could not possibly process all this information in real time. We get to such a degree of precision that the decisions of movement are not made by a muscle as a whole, but rather, each nerve energizing a part of the muscle must act independently so that the muscle contracts in a wave. The smaller and smaller you can get in this precision the better. But even more importantly, you need to allow each tiny part to “make its own decisions”. If you are still making those decisions in your head, you counteract the precision of the body. But, you might ask, if the thinking mind is not controlling all these precise movements, then what is? Now we get to the question of “chi”. The experience of chi is that of a communications system other than the thinking mind, nervous or endocrine system, that coordinates all this activity. The real secret of chi is that it is a conscious energy that works from the level of the very small, upward into the body as a whole. Unless we cultivate this “chi consciousness” (known as “Body-Mind”), the body loses its precision – not just in practicing a form, but in staying healthy in general. The movement of consciousness from the tiny to the large must not be dampened by the movement of consciousness from the large (the mind, the feeling of ourselves as an identity) to the small. To allow the movement of consciousness in both directions allows us to remain intelligent and also healthy. 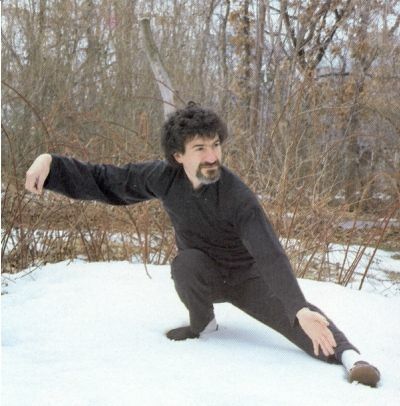 Each movement of the Tai chi forms or the Zookinesis exercises and each principle of movement of push hands, promotes this upward movement of consciousness, that is, of course, if it is done correctly. 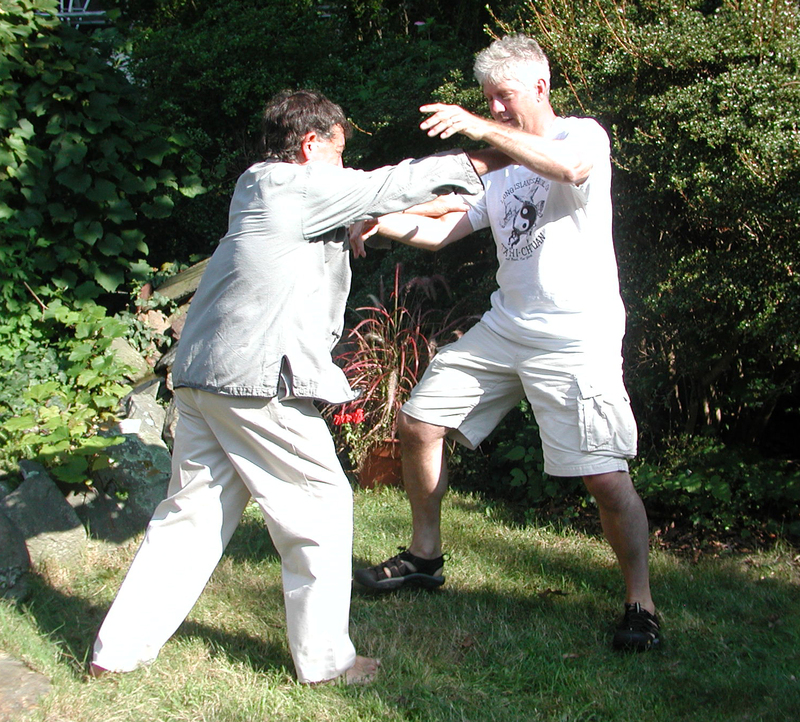 Simply memorizing a Tai-chi form or pushing someone will not have this beneficial effect. Only a legitimate teacher can explain and teach you how to practice Tai-chi in the proper way that promotes this healing effect. This is why even teachers keep learning from other teachers to understand the best ways to practice their Tai chi to promote this effect. Few people in modern times have experienced the upward movement of consciousness emanating from within each part of the body, let alone how this movement of consciousness is completely connected to the natural environment. When you live in a simple and natural way you soon can feel how the cycles of nature promote similar cycles within your body, which then promotes adaptive behavior on the chemical level and on the level of how you live your life day to day. You feel very connected to your environment. The disconnected way we live our lives now leads not only to poor health, but also to a feeling of isolation, which then reverberates into the fabric of our society. We do not feel as connected to other people or other living things. That disconnection leads us to order our society in such a way that we can easily ignore the suffering of others or of the earth. Tai chi practice has the potential of transforming our society, our health and our happiness by restoring the natural flow of consciousness that rejoins us to the earth. Breathe in and ignite the sun within your belly. Breathe out to release its rays to join the sun in the sky and the earth below. Center your breath and relax your body to the four directions. Expect to receive energy from everything you see and feel. Leave space inside of you for that energy to move. Allow the energy to continue on in its journey. The breathing process is essential to understand in order to promote healing. Proper breathing organizes the posture and functioning of the entire body. When you breathe in the diaphragm pulls downward. This inflates the lungs. When we practice Tai-chi, this pulling down of the diaphragm towards the feet not only aligns the body, but also provides some of the power of the movements. Breathing in requires relaxation of the abdominal muscles, which then promotes the relaxation and sinking of the entire upper body. As the neck and shoulders relax, the head can sit comfortably in its position. Breathing becomes easy and full. The downward pull of the diaphragm also coincides with the broadening of the bottom of the foot through relaxation. As the foot relaxes and the diaphragm presses down, this creates a pressure that connects the feet to the ground. This and the general relaxation of each joint and muscle create the “root” that makes your stance solid yet your body loose and flexible. Each in-breath creates a pulse of downward pressure into the root, which creates a wave of energy through the body upward. It is important to maintain the downward pressure even while the wave of energy moves upwards or else the wave will pull you out of your own root. As your diaphragm pulls down, the lungs fill up from the bottom first, and only towards the end of the breathing in do the upper lungs fill. If you fill up the upper lungs too early you stop the downward pressure and the whole process of generating the wave of energy. Imagine that your lower abdomen is a clamshell and that as you breathe in the lower part of the clamshell opens downward and presses into the ground. The breath then flows forward (as you are still breathing in) out of the opening in the clamshell. Advanced Tai-chi students learn to breathe precisely so that the way the diaphragm presses down varies in order to create certain effects in posture and movement. In this way the form and push hands are really controlled from the abdominal area downward with the upper body just responding to the dynamics of that area. The result is that an intricate complex of “waves of energy” are created to give the form more substance and to make the push hands more effective. Unfortunately most of our attention is in our heads and it is difficult for us to work with the dynamics in the lower area of our bodies because that area is “so far away”. So we say that you have to “live in your legs and pelvic area”. This means that your attention is not stuck in your head but can fill the lower area and operate from that area. The lower area of your body becomes the “home” of the attention just as much as your head is its home now. For most people the attention is stuck in one location like a king sitting on a throne. 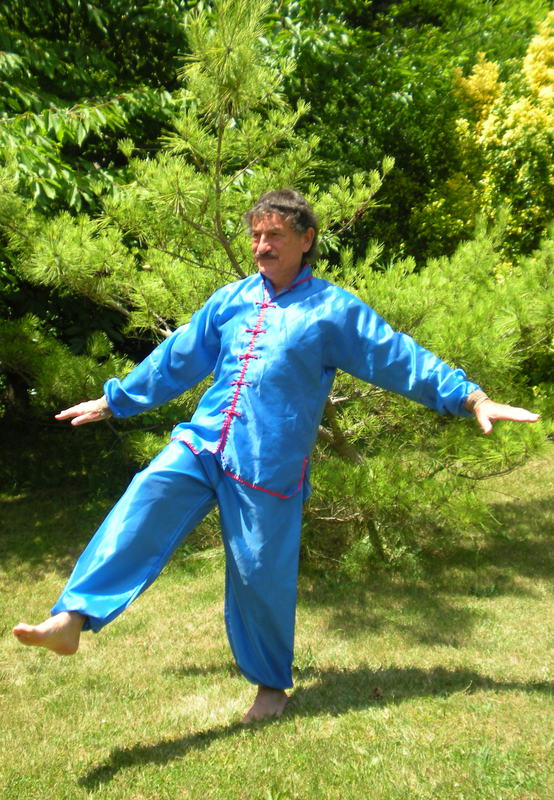 In order to achieve the high level of health and awareness required in Tai-chi, the attention has to be able to move and flow just as the body moves and flows. The attention must be like water, not like a king on a throne. Achieving this change can be frightening. We are so used to the attention being frozen in place that we usually cannot even imagine it moving. Yes, we can pay attention to one thing and then to another, but the “seat” of the attention remains frozen. This frozen attention then freezes the entire body down to the organ and cellular level and inhibits the activity on those levels. When we practice Tai-chi the fluidity of the body influences the fluidity of the mind and the fluidity of the mind releases the body. It all starts with understanding Tai-chi breathing (natural breathing) and its role in “melting” the frozen mind and body. This can only be accomplished by working with a competent teacher. Make sure that your teacher understands these principles so that your Tai-chi practice will be truly a healing experience.